Clinical-stage biotechnology companies with no drugs on the market can exert an intoxicating allure for investors. If a pharmaceutical candidate does well in trials, the biotech’s share price can skyrocket. But these small biotechs also convey enormous risk. Case in point: Zynerba Pharmaceuticals (NSDQ: ZYNE), yet another in a proliferating group of clinical-stage cannabinoid pharmaceutical companies. With a market cap of $108 million, this clinical-stage biotech has no drugs on the market yet. That means Zynerba’s future viability depends entirely on how its clinical trials turn out. If one of Zynerba’s drugs hits, the company’s stock could be a huge winner. If all of its drugs fail, the company would probably go under. Even if a drug is successful, there’s no guarantee about how much revenue it would generate. But there’s an old adage: no guts, no glory. Could Zynerba be worth a shot for investors? Our ZYNE stock prediction examines the pros and cons of the company to see what 2019 has in store. To make a ZYNE stock prediction, we first must understand what this company does. 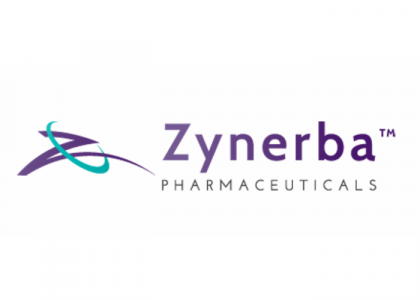 Zynerba develops novel cannabinoid-infused transdermal treatments for rare neuropsychiatric disorders. Transdermal means through the skin. 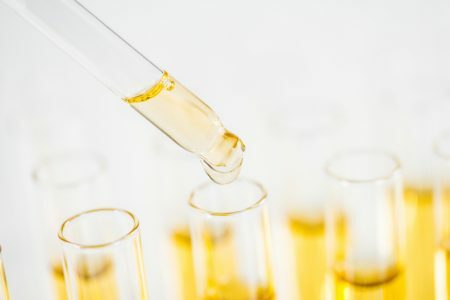 Zynerba’s candidates include ZYN002, which has finished Phase II trials for pediatric and adolescent patients with Fragile X Syndrome, pediatric and adolescent patients with epileptic encephalopathies, and adults with refractory epileptic focal seizures. The company has only one other drug, named ZYN001, in Phase I clinical trials to treat Tourette’s Syndrome. Fragile X syndrome is genetic and causes a number of developmental problems, such as delayed speech development and language. Kids with the syndrome may have anxiety and hyperactive behavior or attention deficit disorder. A third of those afflicted are on the autism spectrum. The syndrome also causes seizures. Epileptic encephalopathy causes seizures (epilepsy), abnormal brain function (encephalopathy), and intellectual disability. It usually appears in infancy. About 25% of sufferers are known as “refractory” because they don’t respond to anti-epileptic medications. Sufferers can also have behavior, movement and even feeding difficulties. Phase I trials take 20 and 100 patients with a certain disease, who are given the drug for several months, with the goals of determining the right dosage and if the drug is safe. Phase II trials test a drug’s efficacy. These trials may run up to two years, and use several hundred patients for double-blind, randomized trials. How Has Zynerba Stock Performed? What is Zynerba’s Stock History? Over the past 12 months, ZYNE shares have fallen 43% whereas the S&P 500 has lost 3%. Over the past two years, ZYNE shares have fallen 69.5% whereas the S&P 500 has gained 16.6%. How Has Zynerba Stock Performed in 2017/2018? In 2017, ZYNE shares lost 30.2% whereas the S&P 500 gained 19.3%. In 2018, ZYNE shares lost 77.9% whereas the S&P 500 lost 7.5%. To gauge Zynerba’s prospects, we must look at its competitors. Zynerba is targeting Tourette’s Syndrome, so it’ll have to deal with Takeda Pharmaceutical, a $62.4 billion market cap firm which gobbled up Shire Pharmaceuticals, maker of the famous drug Adderall. Eli Lilly is another formidable competitor to Zynerba. LLY generates $23 billion in annual sales, over $2 billion in annual net income, free cash flow that runs between $2 billion and $4.5 billion annually, and $13.7 billion in cash. Eli also has one of the widest marketing and distribution infrastructures in the world. The aforementioned trio of stocks pose fierce competition to small-cap Zynerba, but this list of deep-pocketed rivals is by no means exhaustive. Zynerba’s success is entirely dependent on the results of its clinical trials. It has four drugs in development. If any of them hit, perhaps a market will develop for it. If so, the company could become tremendously valuable. However, if all of its drugs fail in trials or even if one of them hits but doesn’t have the marketing to support it, you are investing in a loser. Zynerba has no revenue. It has only $5 million in cash. Will it even be able to stay in operation long enough to finish its trials? There is one big argument to be made for the stock, though. The company could get acquired by one of its giant rivals. Even a multi-million dollar milestone payment from some third party marketer would work wonders for the company’s stock. Here’s a video that examines Zynerba’s clinical trial expectations in 2019. Make no mistake, there is more reason to sell or shun ZYNE than to buy it. Zynerba has a single drug in Phase II. Only 30% of drugs make it through this phase, and only 25% of those make it through Phase III. That’s a very narrow window for ZYNE to squeeze through. The company has only a few million dollars on its balance sheet and there is a real risk that it will run out of money before these long and expensive trials are even done. Zynerba epitomizes the froth in the medical marijuana industry this year. There’s a reason we typically don’t recommend these clinical-stage pharma stocks. Investing in them is like gambling in a casino. The payoff may not occur for years, if ever. Why bother? There are plenty of better biotech stocks on the market for you to consider. Investors are captivated right now with cannabis biotechs, but we foresee a ruthless shake-out occurring in this sector in 2019. To be sure, you can still make a killing in medical marijuana stocks. But the trick is finding the right ones. For Zynerba, everything depends on clinical trials and other unknown factors. Even aggressive investors should avoid this stock.